You are here: Home / Fashion / 10 Great Summer Outfits for Girls under $10 each! 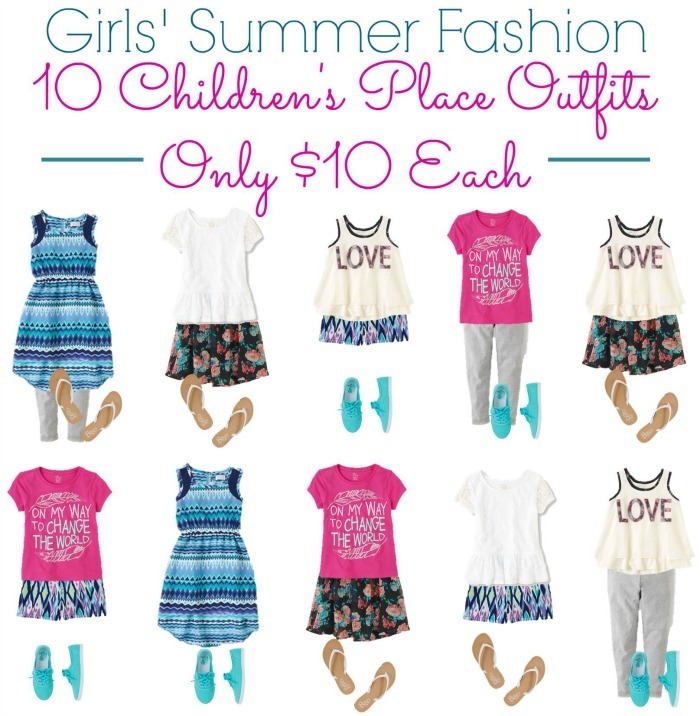 10 Great Summer Outfits for Girls under $10 each! I don’t usually do a lot of kid related posts, as it’s just not my forte. You see, I just don’t have many children in my life. I have no nieces or nephews. I don’t have children of my own, either. All I have is my friends and co-workers kids. Recently, though, a co-worker mentioned that they were trying to find some great clothes for their kids. After asking a few questions, and assessing some styles, I knew we could handle this. These 10 outfits are all using pieces from The Children’s Place. The total price is around $128. I can see you doing the math. You’re saying “But Greta, you said these were under $10.” Yes I did. TCP almost always has a coupon or discount code floating around. Use it to save another 20-30%. We used a 20% off with this group, which made our total purchase price right around $100. They have a 25% off code right now. Which of these outfits is your favorite? We’ll also have a collection of summer outfits for boys up very soon!